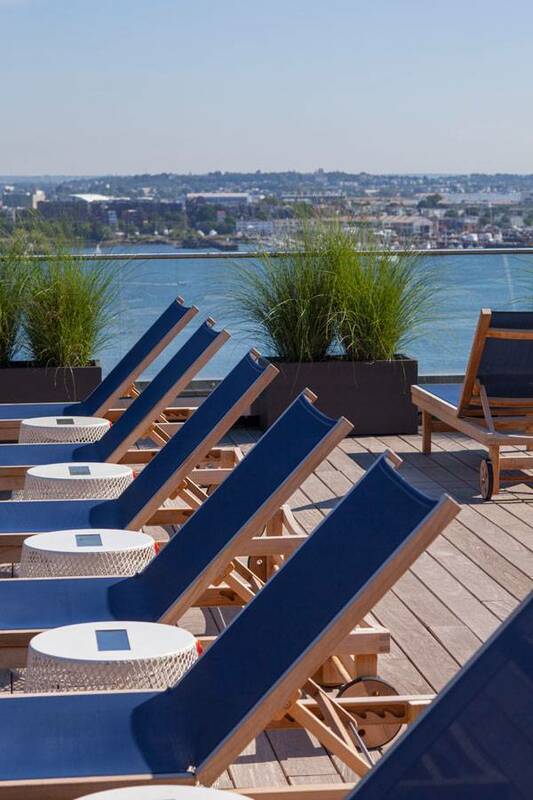 Article by Irene Crowo Nielsen – Watermark Seaport, by Copley Wolff Design Group, in Boston, MA, USA. 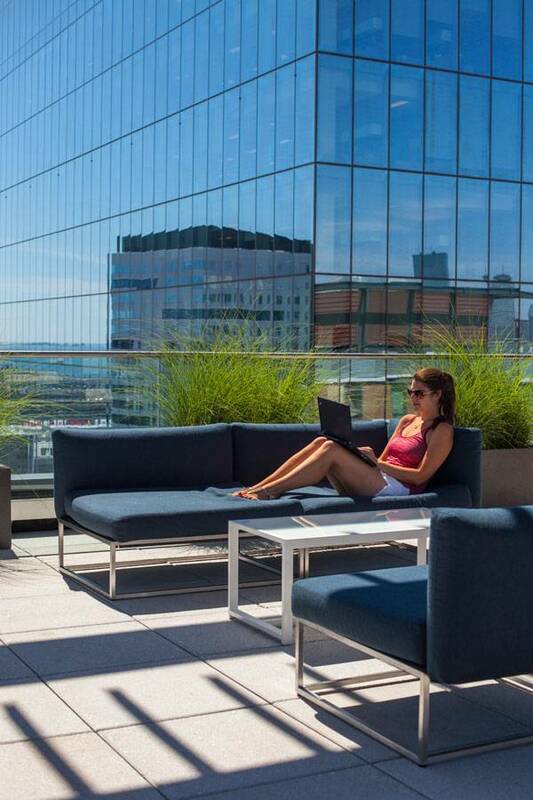 The Watermark Seaport is located in Boston’s newest coveted neighborhood for the live-work-play lifestyle. It is definitely not your average transformation area. 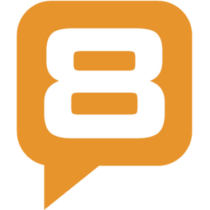 The developer brands it with three words; Unrivaled, Unobstructed & Unconventional. 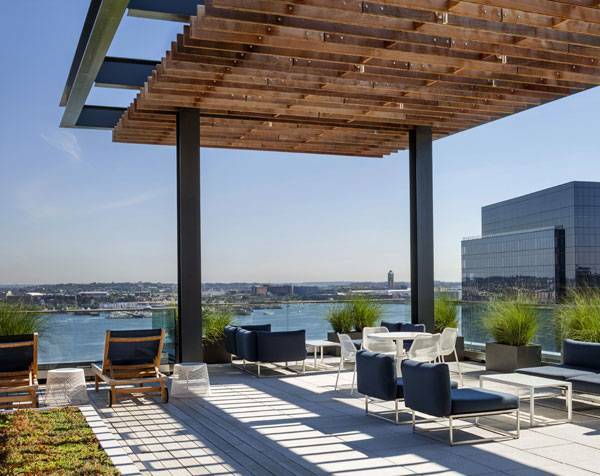 “This is the nucleus of the neighborhood: a marriage between Fort Point Channel and the innovation of the Seaport District,” says Charley Leatherbee, executive vice president at Skanska, who developed the building. 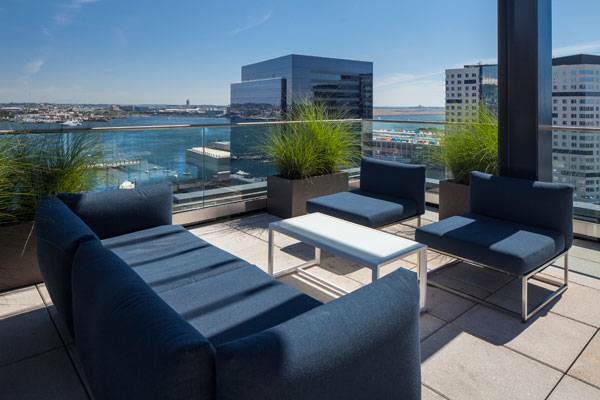 Meet the Watermark Seaport, a 17-story luxury residential tower and a 6-story loft consisting of 346 apartments, 25,000 square feet of retail space, and two levels of below-grade parking. 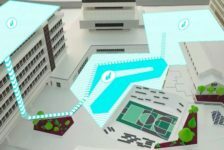 A future-oriented project featuring rainwater filtration and green roofs, with a special focus on providing the building’s tenants with high-end, useful and flexible outdoor amenity spaces. 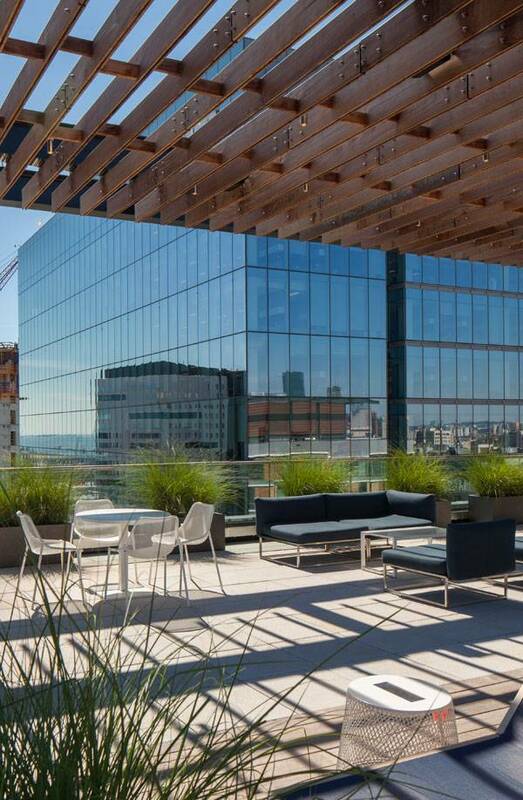 Did I mention that it also achieved LEED Gold certification in February of this year? 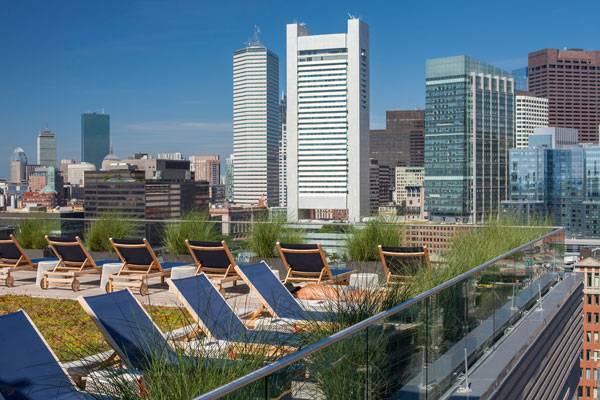 Copley Wolff Design Group is responsible for the design of the streetscape, an alley entry corridor, and two roof deck amenity spaces that eventually lead to a LEED Gold certification. How did they approach the landscape design to help achieve this, you might wonder? 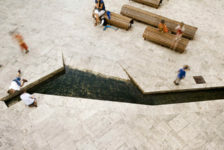 In these days, words like “stormwater runoff”, “urban ecology”, “rainwater infiltration” and “permeable surfaces”, just to mention a few, are popping up everywhere and are becoming more and more important to include for a successful landscape design and for achieving LEED certifications, or similar certifications depending on what country you live in. 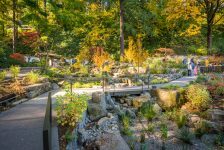 Copley Wolff Design Group have an extra focus on this in their landscape design to be able to achieve LEED certification for the Watermark landscape project. Starting with the streetscape around the building, it can be divided into three zones; a furniture zone, pedestrian zone and a frontage zone. The frontage zone is adjacent to the roadway curb and contains a permeable precast unit paver strip. There are large tree pits with structural soil, aeration, and concrete paving. The frontage zone also contains bike racks, signage, parking meters, native plantings, and traffic utilities. 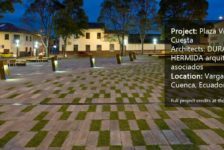 The furnishing zone has pervious pavers to infiltrate rainwater back into the earth, taking strain off the overworked stormwater system. 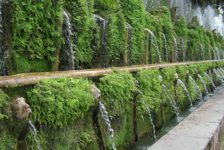 The street trees utilize captured roof runoff, stored in a large underground cistern, and therefore embraces all the current urban planting technology in an effort to ensure longevity of urban ecological systems. The pedestrian zone is a dedicated walkway, and it is paved in light-colored concrete. The alley leading from the street, from Autumn Lane to the street, and Seaport Boulevard make up a car-free environment and have green walls and green vegetation buffers to maintain a certain privacy. 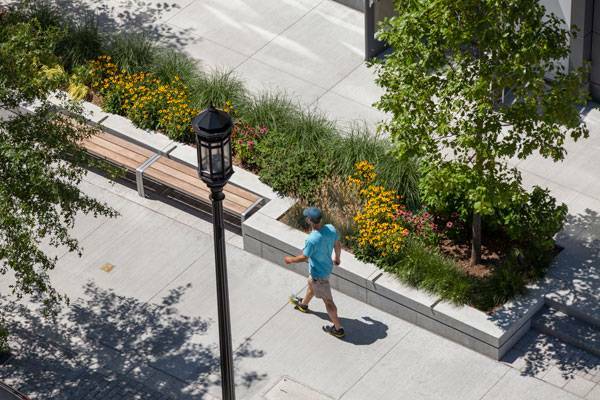 When walking down the alley towards Seaport Boulevard, there are horizontal rafters and a retail terrace with retaining walls, stagger planting, seating areas, and large shade trees adorned with lanterns. 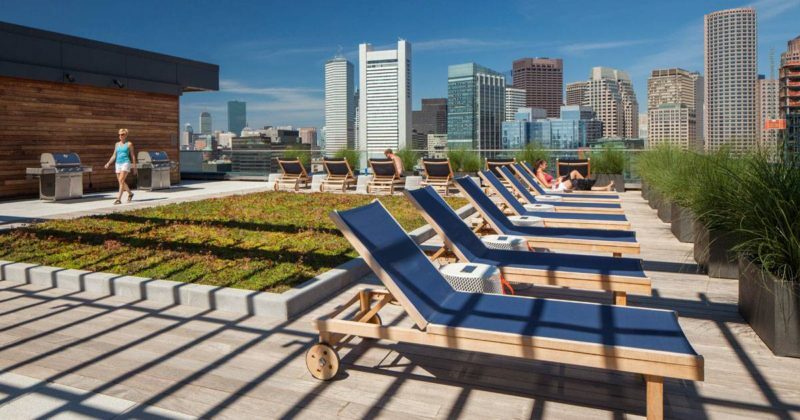 Moving up into the building, you will find that the green roof decks are located on the 18th floor and on the 2nd floor between the Tower and the Loft buildings, providing the residents with incredible protected views of the Boston Waterfront and downtown Boston skyline. 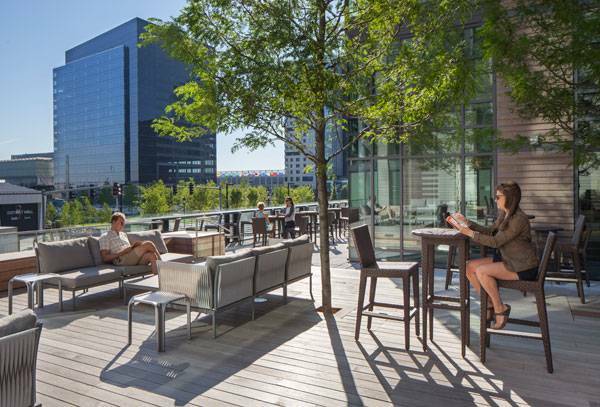 On the 18th floor, Copley Wolff Design Group have designed outdoor dining and gathering areas for the buildings occupants and planted a series of 8-inch-deep, pre-vegetated green roof trays containing a mix of native and adapted ornamental grasses, perennials, and sedums (which also contributes to the building’s aim to achieve LEED Gold Certification). The 2nd floor amenity terrace is designed as an extension of the indoor lounge and entertainment rooms used by the buildings residents. One can also find a planted zone with hardy sedums and a platform space designed with shaded trees. By using green roofs with sedum, Copley Wolff Design Group managed to achieve the many benefits of green roofs which include managing and migrating of storm water run-off, reducing the heat island effect, reducing heating and cooling needs, and at the same time create potential for urban agriculture and providing wildlife habitats. 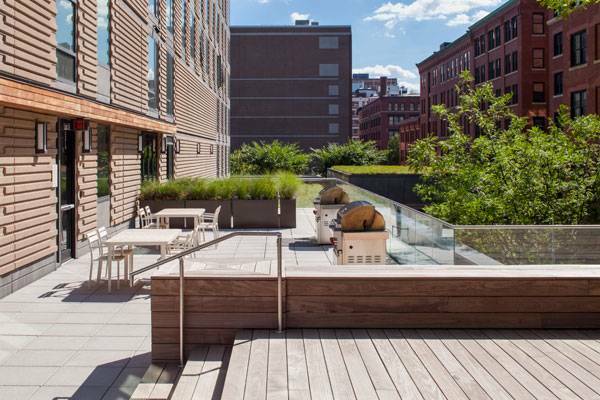 In addition to being green roofs, both decks are also furnished with lounge chairs, grilling stations, dining tables, contemporary outdoor couches, high-top tables and stools, and built-in wood seating throughout. There are also active zones for exercising. The residents have everything they need and more! 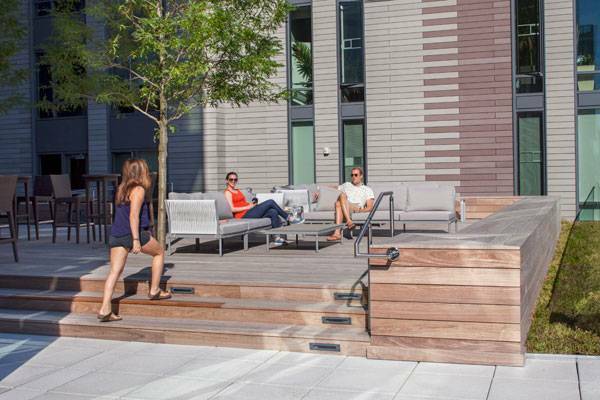 LEED Gold certification was targeted from the early beginning of the Watermark Seaport. Landscape design and maintenance are factored into the scoring system. 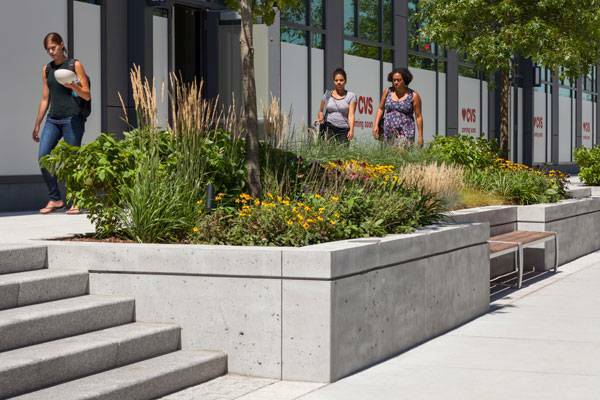 Copley Wolff Design Group helped achieve the LEED certification by designing green roofs, planning drainage channels to diffuse rainwater, figuring out grading plans, and using local plants that require less water, just to mention a few of the specific ways to earn points on LEED projects. 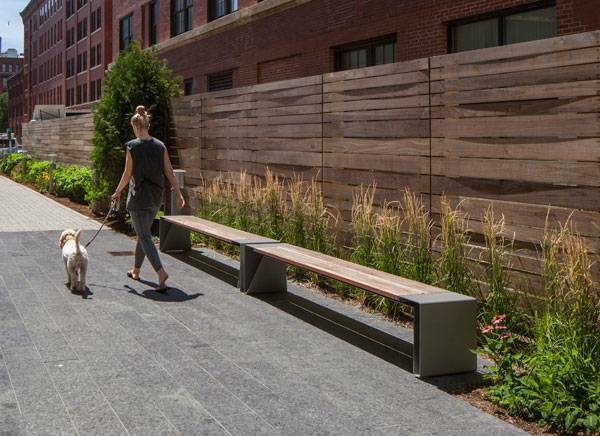 One building at a time, the Watermark landscape project is helping to change the landscape of Boston by providing environmental and ecological benefits to the building while also creating appealing urban green spaces for everyone to enjoy. 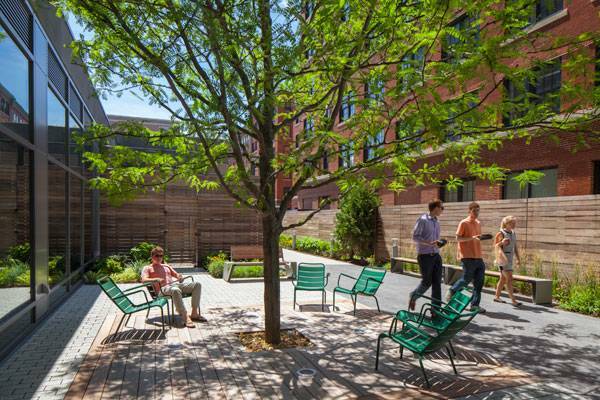 Have you ever worked with earning LEED points?